Pull the extinguisher ‘s safety pin. Aim the chemical at the source of the flames rather than at the flames themselves, standing at least 6 feet from the fire. Squeeze the trigger and hold it, keeping the extinguisher upright. Sweep the source of the flames until the extinguisher runs dry. 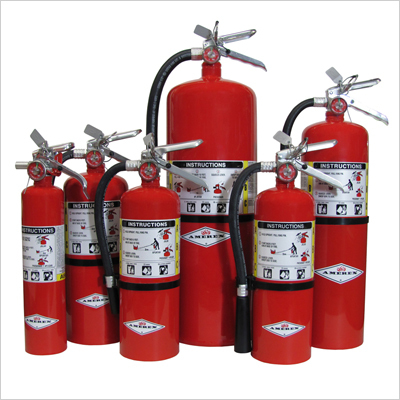 Frequency of Inspection – Initially done when the extinguisher is placed into service. Thereafter extinguishers shall be manually inspected at least monthly by the building owner, occupant, or his/her authorized agent.